truly reflects the historical development of the Bohemian basin. When you are traveling around the Czech Paradise you shouldn’t miss the symbol of this region. 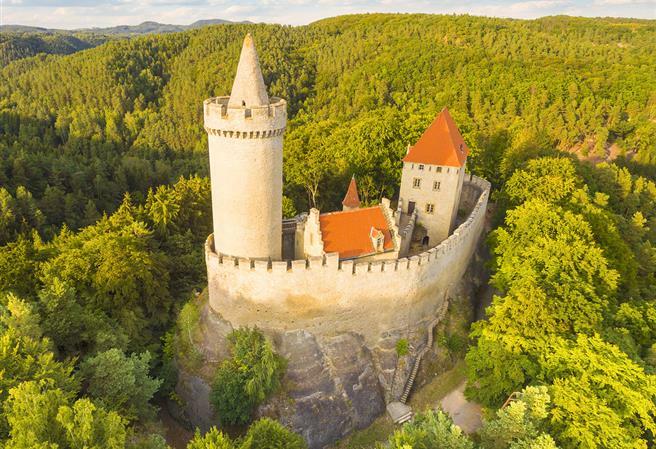 The castle Trosky is just one day trip from Prague. 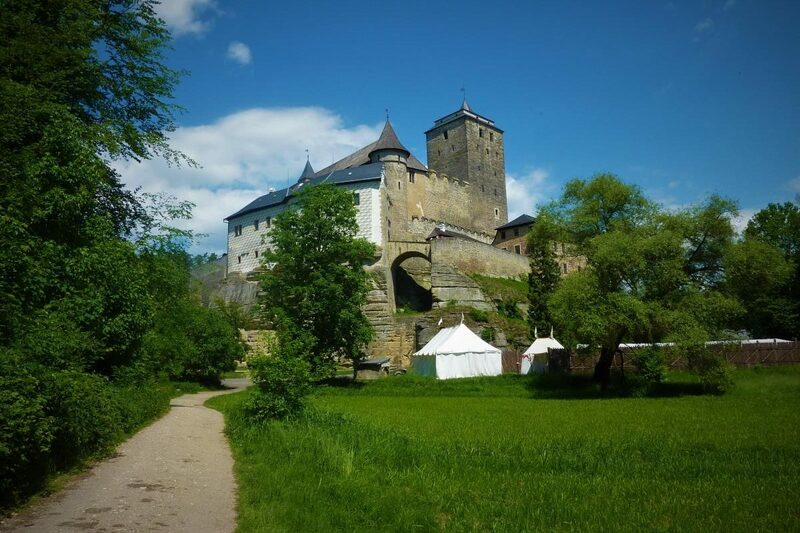 During your visit of the Czech Paradise, you can see the castles Kost, Valdštejn castle. Or Hrubý Rohozec in the Turnov region. 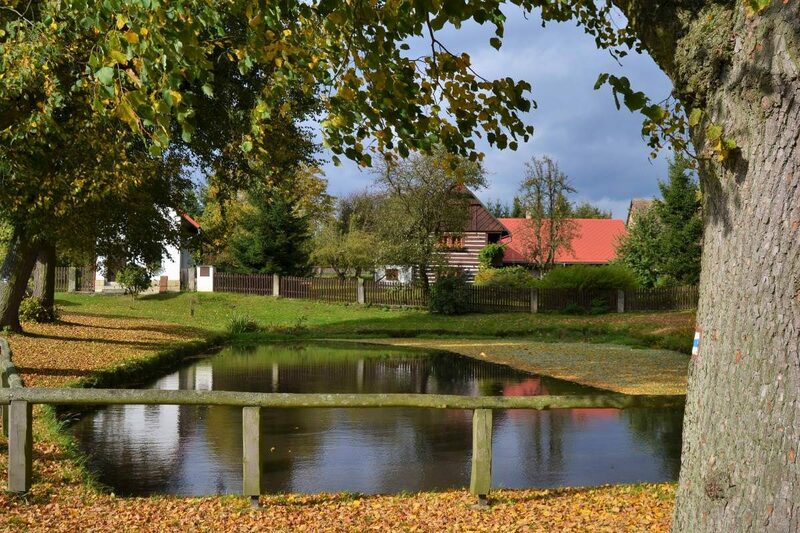 Humprecht in the Sobotka region. Or the majestic castles Sychrov and Mnichovo Hradiste. 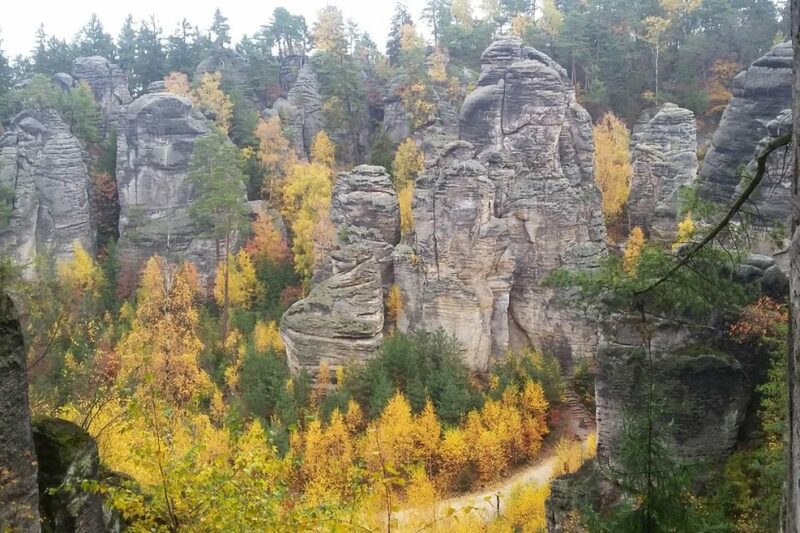 You should know, the name Czech Paradise is said to have begun to be used for the surrounding countryside by enthusiastic visitors to Lázně Sedmihorky sometime during the 19th century. The designation soon became customary for the whole area. And today you will truly find everything you expect from paradise. Diverse places of entertainment, tourism, and leisure. The marked trails, including several new nature trails. 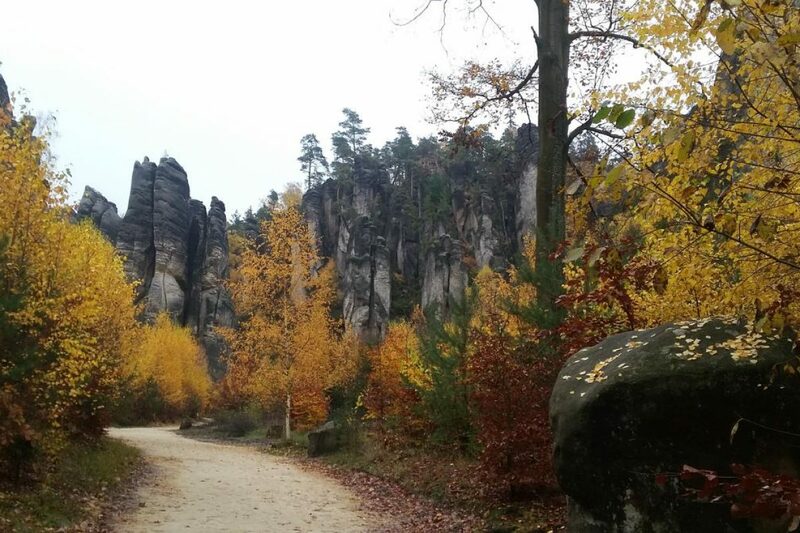 They take you through the Prachov Rocks and Hrubá Skála rock town with the Bukovina arboretum, which lies between Valdštejn Castle and Hrubá Skála Chateau. Příhrazské Rocks with the ruins of Drábské Světničky Castle and Klokočské Rocks are worth exploring as well. Besides the natural beauty, monuments. 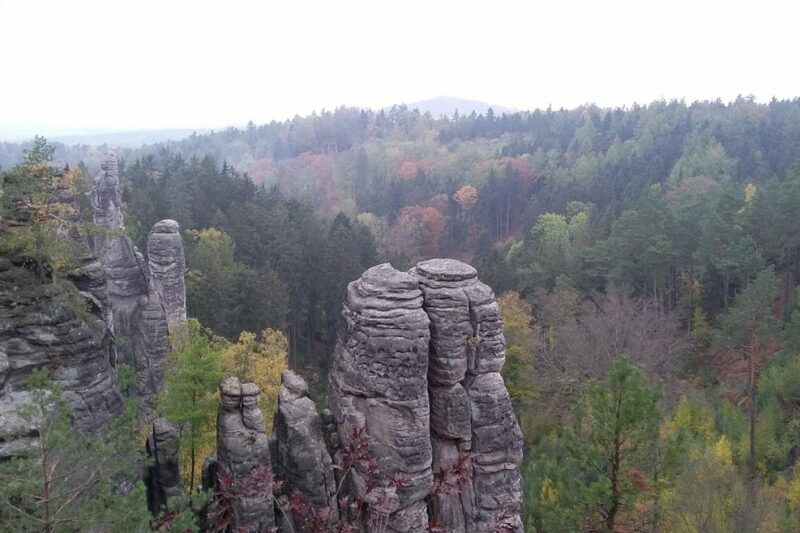 Ranging from Trosky Castle with its two typical towers (the tall slender Panna and the small stout Baba), to the peculiar Valečov Rock Castle. With a village carved into the rocks, and the massive Kost Castle, with the romantic Plakánek Valley – are worth checking out. 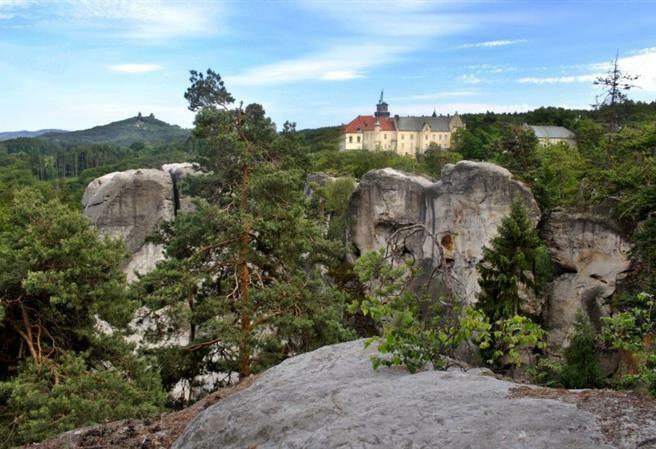 Like the two Pravčicka Gates in Bohemian Switzerland, there are two Trosky castles in Czech Paradise. The first is, of course, is the original. The second Trosky Castle is wooden Since the summer of 2015 has adorned the Happy Land Leisure Resort and Family Center in Radvánovice at Turnov. Which you can enjoy with your children in hot summer days. 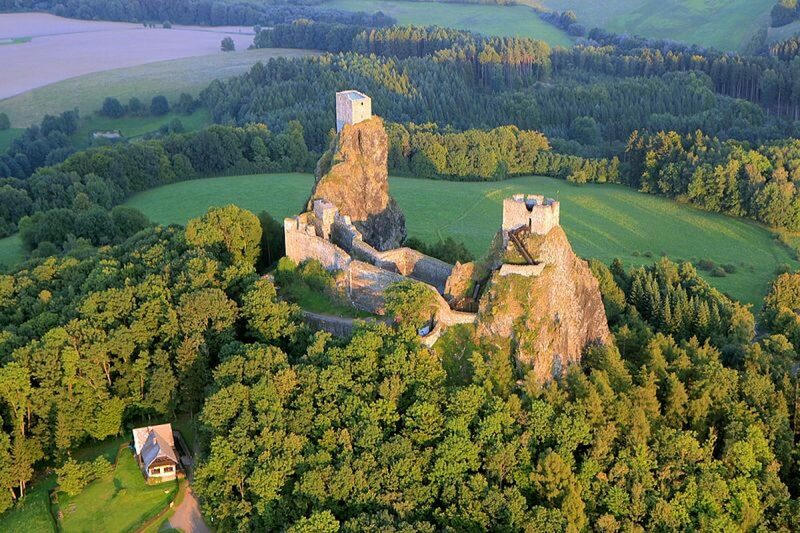 There are not many medieval castles in Czech republic. 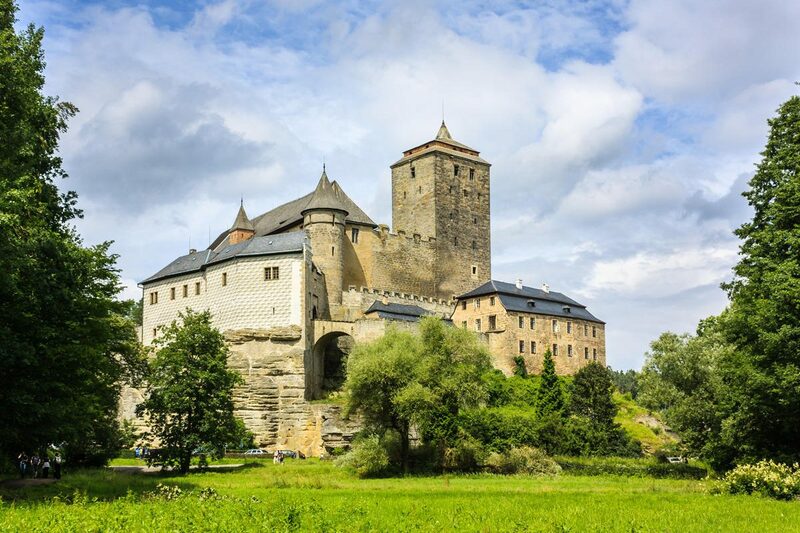 You will be amazed by majestic Kost castle which has a special position amongst Czech castles. It is the best preserved gothic castle in Czech republic. Although Karlstejn you know probably better and it has more important place in Czech history. From its original appearence has not remained much today. Kost castle that stands in the middle of picturesque Czech Paradise (Český ráj) looks pretty much the same for half of the millenium. Reconstruction that took place in 50ties did not take away the charming atmosphere of the castle. The next place you can visit is the royal castle of Bezdez. Founded in 1264 by the “Iron & Golden king” Přemysl Otakar II, is one of our most important Gothic monuments. In the medieval period it became famous as a prison for the penultimate Přemyslid king, Wenceslas II. In the Baroque period, when the castle was used as a Benedictine monastery, it was a destination for many devout pilgrims and finally in the 19th century the abandoned Bezděz became an attraction for romantic souls, among them the famous Czech poet and writer Karel Hynek Macha.